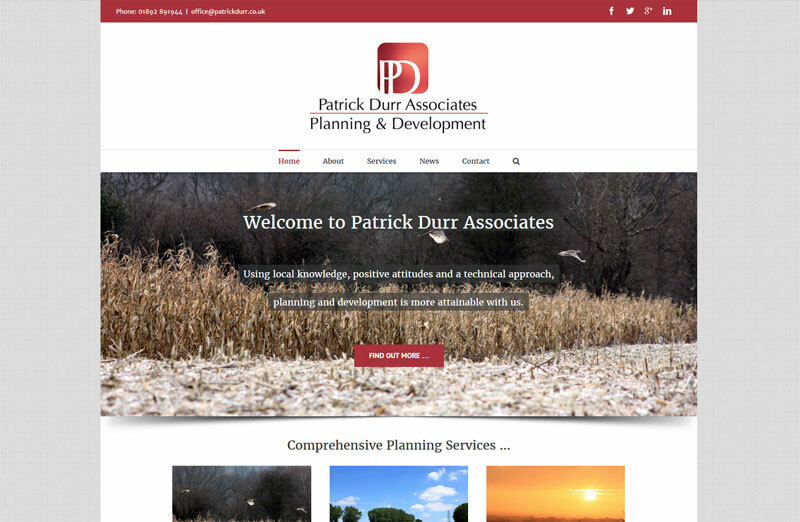 Patrick Durr Associates are an independent planning consultancy specialising in country planning and development advice for a range of both individual and business clients. The company is regulated by the Royal Institution of Chartered Surveyors (RICS). They approach the planning system with a positive, can-do attitude and always begin by listening to a client’s development ambition and using this as our objective. Patrick Durr Associates needed a new website to showcase their business and skills. The website needed to be easy to use and work across a range of devices. It also can be fully maintained by the client so they can share the latest planning news and job updates. Find out more by visiting the Patrick Durr Associates website. Matthew at SEO Sauce has done it again! This is the second website I have commissioned and it was as easy and as straightforward as the first. Matt was excellent at interpreting my professional and clean cut vision and made the whole process extremely simple. I would not hesitate to recommend SEO Sauce to anyone. Thanks again Matthew!